Glatt Pharmaceutical Services develops and produces solid pharmaceutical dosage forms. 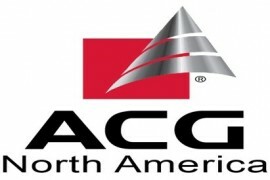 ACG North America is the U.S. branch offices of ACG Worldwide, the second largest capsule manufacturer in the world and the only company to offer pharmaceutical, OTC and dietary supplement companies a full range of capsules, blister packing films, and machines. Colorcon® provides a wide range of pharmaceutical film coatings and pharmaceutical formulation development assistance. A research-based company which specializes in developing injectable and topical products. With expertise in the development, manufacture, and regulatory filing of various injectable dosage forms. Specializes in used processing equipment, provides quality used industrial and process equipment at competitive prices for pharmaceutical, packaging, chemical, plastics, food and beverage, and other industries. GlobePharma, Inc is a solid-dosage form equipment company with a vision to provide solutions for some of the problems in the pharmaceutical industry and excellent customer support.